This wedding is amazing. And not just because of the jaw-droppingly gorgeous scenery and two sweeties that you just can’t take your eyes off of. No, it also happens to be amazing, because those aforementioned sweeties? They really know how to throw a pretty party. 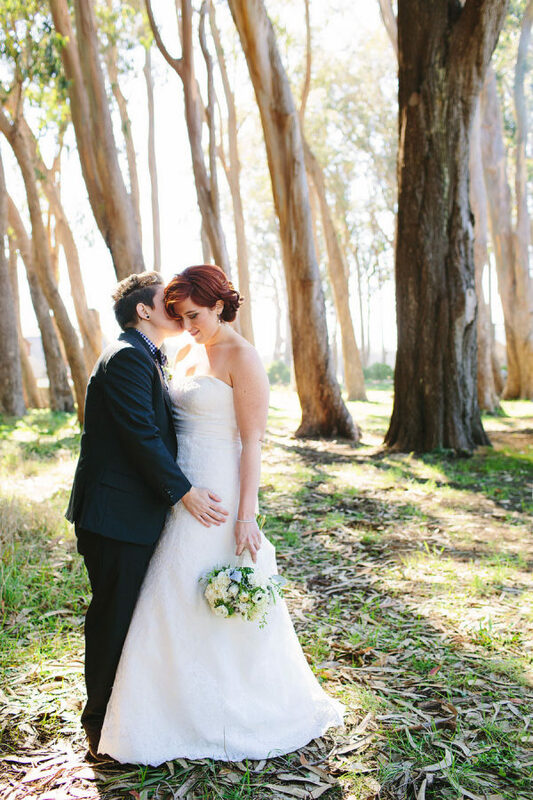 One that includes the fab stylings of Mendocino Weddings, a crazy awesome intimate vibe and one heartwarming moment after another captured by Mary Costa Photography. Oh, and there’s karaoke. Need I say more? See it all in the full gallery. 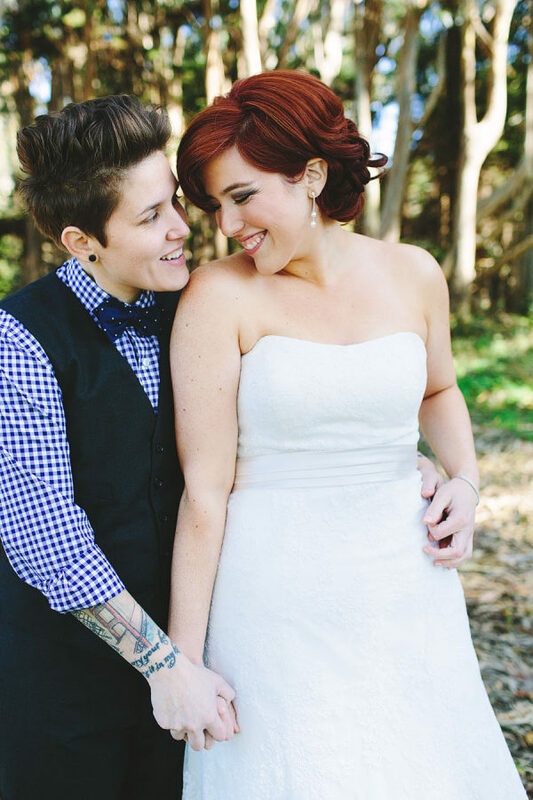 From Mary Costa Photography… Summer and Andrea met years ago, and Summer instantly vowed to whoever would listen that if Andrea was ever interested, she would do whatever it took to be with her. Eventually their paths crossed again years later, and Summer kept her word – they fell deeply in love and have been inseparable ever since! They knew they wanted a small, intimate wedding with lots of personal details. Summer’s father’s private home in Mendocino, CA provided the perfect location. They were married on a cliff side in his backyard, overlooking the Pacific Ocean, surrounded by their closest family and friends. They asked that everyone wear something blue, and Andrea’s sister acted as the officiant. Their day was full of details that honored them as a couple – including their favorite drinks, a personalized menu, and a self-designed logo stamp to commemorate their day. They also included their love of karaoke as main feature in the evening’s party! 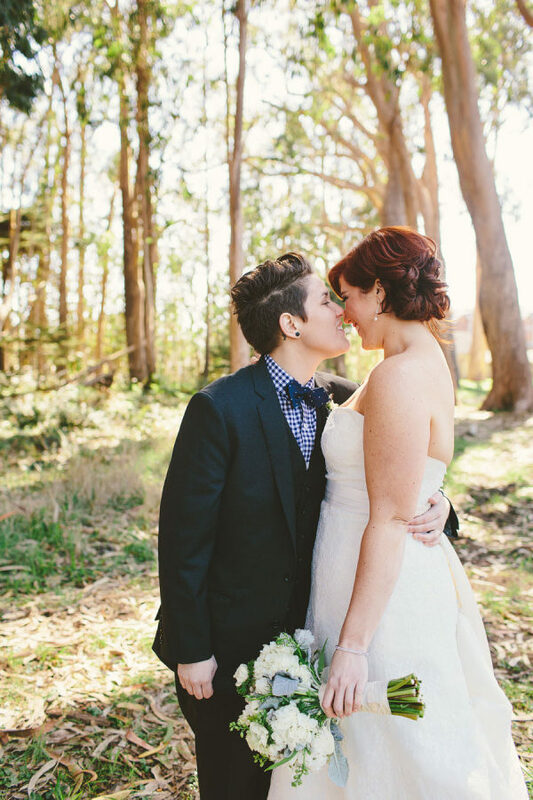 They traveled to New York a few days after their California ceremony and legalized their marriage at City Hall. Summer and Andrea are a beautiful balance – Summer is full of energetic tenacity, and Andrea has a gentle sweetness about her. Their joy is truly contagious. Wishing these two every happiness! Though we legitimately love them, Minted is an advertiser on Style Me Pretty. Minted is a member of our Little Black Book, Love what you see? Take a look at their portfolios. For more information on how Little Black Book Members are chosen click here.